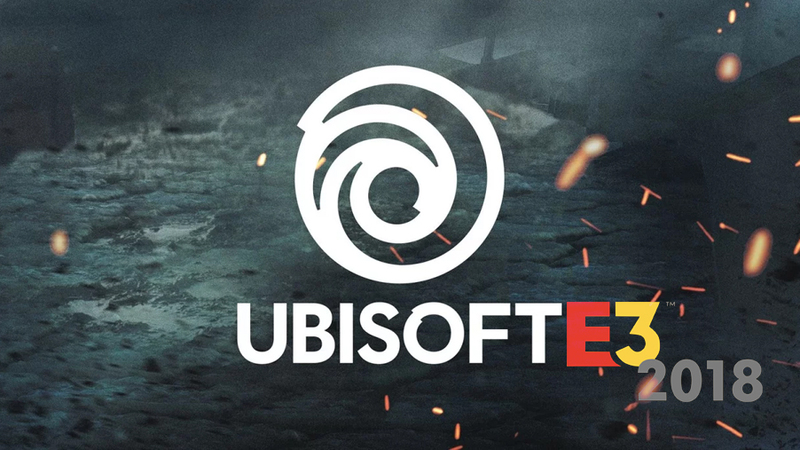 After a fairly underwhelming show from Square, next up is Ubisoft. Let's take a look at what they had to offer and to see just how well they did at cleaning out our wallets in the days, weeks and months to come! Just Dance 2019 - Announced with a dancing Panda and full-on dance routine, what better way could Just Dance 2019 be revealed? Beyond Good and Evil 2 - A game I'm most excited for and have said a little about in the paragraphs toward the bottom of this news feature. Rainbow Six: Siege - Another Mindset - Not a new game, but the first official trailer of Another Mindset - An E-Sports documentary about how key Rainbow Six: Siege community members overcame their struggles and made their mark on the Pro League. Trials Rising - Trials is back and potentially better than ever! The Division 2 - It's official, everyone. The Division 2 is coming! Mario+Rabbids: Kingdom Battle - Donkey Kong Adventure - DK returns for Mario+Rabbids: Kingdom Battle in the form of DLC. Boo and Yay? Skull and Bones - I've mentioned a little more about this below, but this could be good. Transference VR - As somebody who doesn't yet own VR gear, I doubt I'll be buying this, but those of you who are, this has some interesting potential. Starlink: Battle for Atlas - Fox McCloud returns as extra content in this quirky looking interplanetary adventure. For Honor - Ubisoft have decided to release a Starter Edition of For Honor, allowing gamers around the globe to play the game for free. In addition, a new world expansion was revealed focusing on the Wuling Empire. Its name? Marching Fire. Demonstrated was a brand new mode known as Castle Siege, in which teams of 4vs4 have to fight their way to, into and through the grounds of a Castle. The community wanted it and Ubisoft made it. The Crew 2 - If racing's your thing, The Crew 2 could be for you. With Cars, Power Boats and Planes, you can race through the city in a number of ways and if you're on the fence about it, take pleasure in knowing you can pre-load the open beta now, ready for play on the 21-25th June! Assassins Creed: Oddysey - With cool equipment drops to outfit your character and a selection of weapons, including a broken spear once owned by King Leonidas himself, this looks to be a promising title. The option to play as a male or female character only serves to further entice me. Props to Ubi for revealing the game from Kassandras perspective. Girls are gamers too and this girl looks to be one badass babe! I'm very much looking forward to playing Beyond Good and Evil 2. I don't know how reliant the team are on the community regarding in-game features, but hopefully Joseph Gordon-Levitt stepping up on stage is just part of a much bigger creative plan to ensure players are invested into the world of Beyond Good and Evil 2 for years to come. The last thing fans want right now is a community created story, but then, I don't see Ubisoft going down this route. I'm also happy to see the return of the Trials HD series. The Trials games have always been incredibly fun (and at times, incredibly frustrating), adrenaline fuelled titles and aside from new set pieces and even more ways to crash, it looks to be more of the same of the same game series we've come to know and love over the years. Next up we have Skull and Bones - A mostly at sea Pirate adventure, where your goal is to primarily obliterate any and all opposing ships to loot them to gain the required equipment and upgrades necessary for making your Galleon (The Sultana) even deadlier than it was before. I'm hesitantly interested, but having grown a little tired of Assassins Creed: Black Flag (back when I played it on PS3), I think Ubisoft have a lot of work to make this a fun experience from start to finish. Let's just hope it's not a copy and paste of Black Flag. This leads me onto the next title I'd like to talk about - Assassins Creed: Odyssey. Assassins Creed: Odyssey looks to be a fantastic new entry into the series. Appearing to be a very different game from the earlier titles of Assassins Creed 2 and Brotherhood (my two personal favourites), this places you in the shoes of either Alexios or Kassandra - A capable Spartan Warrior (implied to be the grandchild of King Leonidas himself) fighting their way through the Peloponnesian War. Taking on a more RPG focused style of gameplay, you're given multiple conversational choices when talking to the many characters of the world, along with a skill tree to upgrade your characters move-set with a number of different combos. Adding to this are the super stylish finishing moves you perform when an enemy reaches zero health and the inclusion of item drops you'll receive from felling your foes. Assassins Creed: Odyssey looks to be an incredibly fun take on the series and should be a fantastic opportunity to jump back into the long running series of Assassins Creed, which for me had grown stale by this point. I'd also be quite happy if Ubisoft dropped the Abstergo project side of things altogether, instead focusing on the character of the given era. This may be wishful thinking, but perhaps Ubisoft have done just that with the absence of any modern setting in what has been shown so far. Assassins Creed: Odyssey is definitely one to look out for. 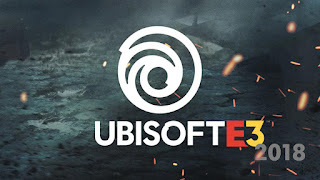 To close things off, it's a shame we didn't see a return of Prince of Persia or another entry in the Splinter Cell series, but what was shown was good and I feel Ubisoft have pulled off yet another entertaining show for E3 2018. I'm excited for what's to come and can't wait to get my hands on the mentioned titles above. Agree with us or have something you'd like to say yourselves? Let us know in the comments below or hit me up on twitter @CaptainCortez.